Tadao Ando is a leading architect of his generation. These two churches demonstrate essential themes in his approach to the design of places of worship. This book presents each of the churches in detail, using Ando's own drawing archive, including his sketchbooks. The Church on the Water occupies a pastoral site and consists in plan of two squares, one large, one small, that overlap and are arranged facing a man-made lake. The smaller of these two squares is a calming preparatory space, enclosed on four sides by milky-white frosted glass, an "enclosure of light", where one can pause before entering the glass walled chapel below. The Church of the Light is built in a quiet residential area of Osaka, and was planned as an annex to the existing church and vicarage. Here Ando explores the spiritual force of the effects of sunlight on simple raw concrete. 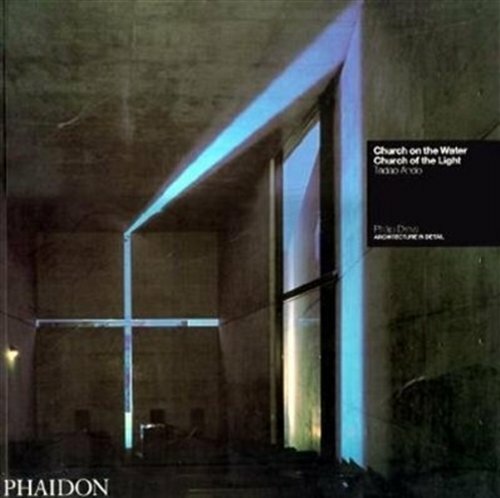 Slits cut in the form of a cross perforate the chapel's front wall, and when lit by sunlight they manifest what Ando describes as a "cross of light". When presented together these two churches provide a synthesis of opposites, creating spaces that attain a purity and calm through powerful architectonic forms.